Need a refreshing drink? Or perhaps some butter for your special homemade cookies? Well then, our Dairy department has you covered! 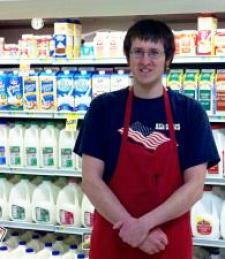 We carry a large variety of eggs, cheeses, milks, butters, etc. Can't find something that you are looking for? Talk to Tim, our dairy manager. He will help you find it!